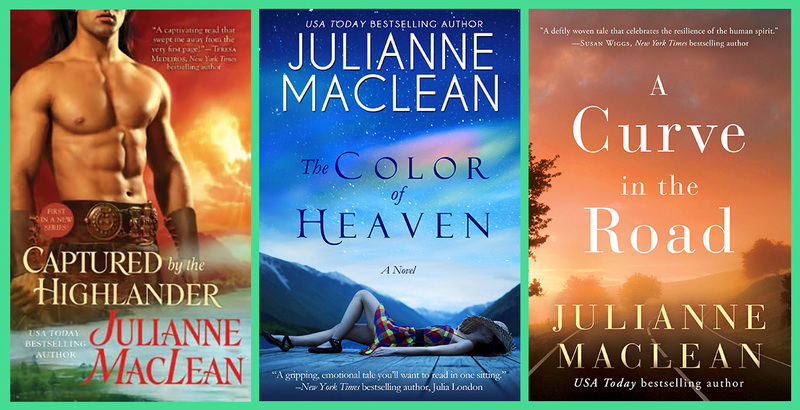 Julianne MacLean is a USA Today bestselling author of more than 30 novels, including historical romance and the contemporary women’s fiction Color of Heaven series. MacLean is a four-time Romance Writers of America RITA finalist and has won the Booksellers’ Best Award, the Book Buyers Best Award, and a Reviewers’ Choice Award from the Romantic Times for Best Regency Historical Romance of 2005 (Love According to Lily). She earned a degree in English literature from the University of King’s College in Halifax, Nova Scotia, and a degree in business administration from Acadia University in Wolfville, Nova Scotia. She has also lived in New Zealand, Canada, and England, and currently resides on the east coast of Canada. Host Patricia McLinn talks with Julianne about making characters suffer and moving on from them.